Queer Eye for the Bi? Remember that time Cynthia Nixon said she chose to be gay and there was this huge backlash from the gay community over it? Well this is my take, months later. Nixon later clarified her “choice” statement, claiming bisexuality is indeed a fact, not a choice. However, she still says that she chooses to be in a gay relationship. I don’t see why this was such an issue. 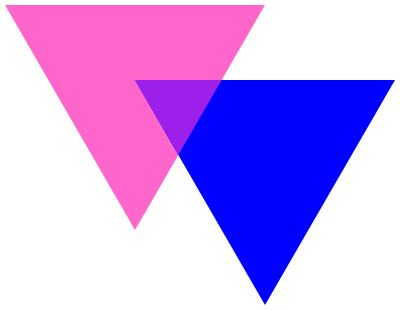 It’s true that bisexuality is often viewed negatively in the gay and straight communities. Possibly because of the strong need for binary establishments in our culture. Bisexuality blurs the lines of sexuality that many feel should be black and white. Grey areas are confusing, and confusing topics are often misrepresented. 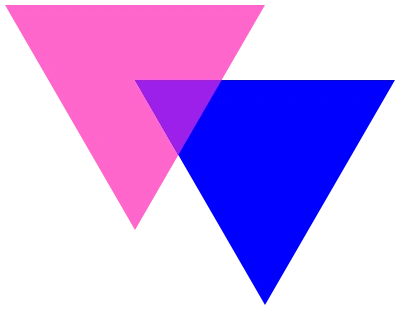 Why is it so questionable that there might be more of a sexual spectrum rather than straight versus gay? As much as we like to box things in, it’s not always the case that everything is so easily defined, binary, or concrete. Honestly, as an out gay, genderqueer, I can’t say I haven’t found a few Ryan Goslings or John Cho’s attractive. Sue me. Let’s just face it; The fear of ambiguity stems from humans fearing the unknown. The unknown often leads to discrimination because if you don’t understand something, it’s difficult to relate. But an open mind leads to learning things you may not have known, otherwise. Think about it. Maybe, just maybe, bisexuality is more than just a stop on the road to Gaytown. Hmm… Which shall I choose- Miss Mrs. or Ms.? Hmm… Which shall I choose? Miss Mrs. or Ms.? I possibly knew about this before, but it didn’t occur to me how sexist an issue these three title options were, until after a discussion in Women’s Studies, today. Mrs. If you’re married, Miss if you’re not, and Ms. for either; or if you’re a feminist. You might recognize Ms. as the title of the women-positive magazine created by Gloria Steinem, a well-known feminist, journalist and political activist for women’s rights. Bet you can guess which title she uses. The need for the use of Ms. instead of Mrs. or Miss was brought on by second wave feminism. However, I remember getting in trouble in middle school for calling my teacher Ms. instead of Mrs. because she’d just been married. Note, I am from the south, and things seem to move a little slower down here. It seems so odd that men don’t have this same title trio. Why don’t men have an equivalent to Mrs. for when they’ve been married or Miss equivalent for our single guys out there? Gotta know if he’s a bachelor, right? The need for three title options with women stems from the earliest gender molds of our society. Those foundations stem way back in the 1700s, even, when women were seen as property to be passed on from father to husband. Women take the man’s last name so why not add a title like Mrs. that emphasizes this, right? Wrong. Why is it necessary that everyone know whether we’re married based on such a title? We’re no one’s property and we don’t need a stamp of Miss or Mrs. that says we are. As a budding feminist, I love that Ms. is an option. It is the woman’s equivalent to Mr. . It’s a freeing title that attaches to no expectations. Ms. could be a girl, a young woman, a married woman, whatever. None of your business. Just like Mr. implies. It’s a strong statement to correct someone to call you Ms. as a married woman.I’ll go so far to say, I’d be great for Mrs. and Miss to be eliminated, altogether. They’re definitely not necessary in modern society, that’s for certain. I agree. 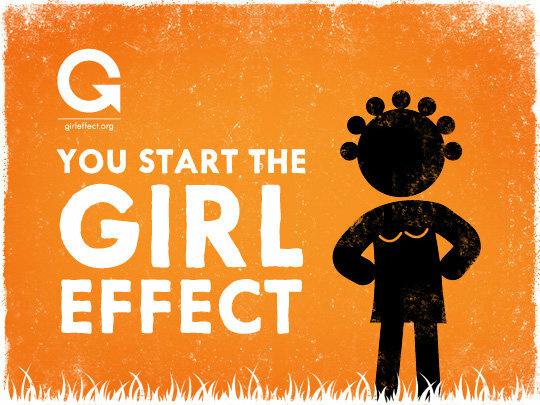 The Girl Effect works by a number of wonderful foundations, networks and what The Girl Effect call “Girl Champions” that donate micro loans to women in poverty ridden communities. These micro loans help those women to start businesses in their areas that benefit the locals and most specifically, the girls in their town. This is the Girl Effect. I was so inspired when I saw their video and I’ll honestly never be the same. I know, quite dramatic. However, I’m not even joking. Women are suppressed all over our world and it’s so fascinating to me how much brighter the world could be if women had more power. As noted earlier, women are the most likely agents to create positive change. Now I’m not just saying this. Yet, girls in high-poverty communities are often overlooked for education and the opportunities for success are far less than their male counterparts. There are a lot of social media videos out these days to promote change, but I must say, this one touched me most. I want to do something about this. It’s absolutely ridiculous and almost unbelievable that our world is functioning this way. Why is this even okay? I’m devoting myself to being a part of the positive change with the Girl Effect. I’m a film student and I’d love to write for a living. I know that I can mold my creative career into a helpful voice for female empowerment, and that’s just what I hope to do. It means so much to me that by the time I’m old and grey, this injustice will probably be far less prevalent. And I hope to have some part in that change.